Today I met the experimental musician Giovanni Succi for lunch at a restaurant in the countryside outside Bologna. Imagine your favorite eastern North Carolina barbecue house if it was homemade Italian food, or in Durham imagine Saltbox Seafood Joint with Italian food. No menu, you just discuss what they have for the day and what you want (I’m glad Giovanni was there because my Italian is limited to date). Delicious braised beef grilled on wood fire and tagliatelle with meat ragu. Had to go the distance. Giovanni, in addition to being a musician, is also a performer of the words of Dante Alighieri. We talked about how the words were intended for oral delivery, not to be read on paper. Percussive sounds. He’s also an older first-time father, so we had a lot in common about how time goes by faster and about being present. Long live Jason Molina for leading me to Giovanni and B Giuseppe Dorella. Now I’m listening to tUnE-yArDs sound checking on the beach. Beaches Brew Festival. Oh, and 300 people attended my Gene Smith’s Sink event last night. Imagine that. The only other time that many people showed up for something I did was in San Francisco. The man who invited me for this event in Bologna, Urs Stahel, opened the event by asking two questions. Who is W. Eugene Smith? 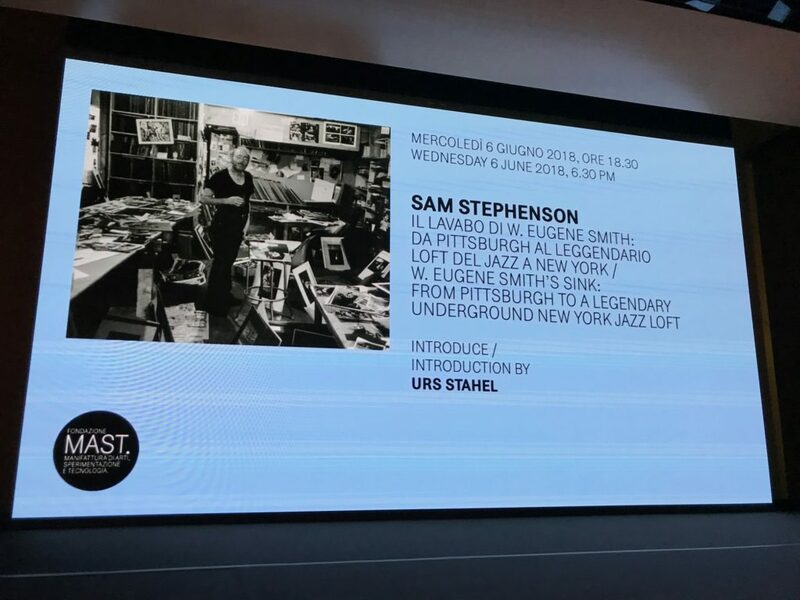 And who is Sam Stephenson? He understands the situation.